It’s hard to believe that another fishing year has passed, as it only seems like yesterday that the season opened. 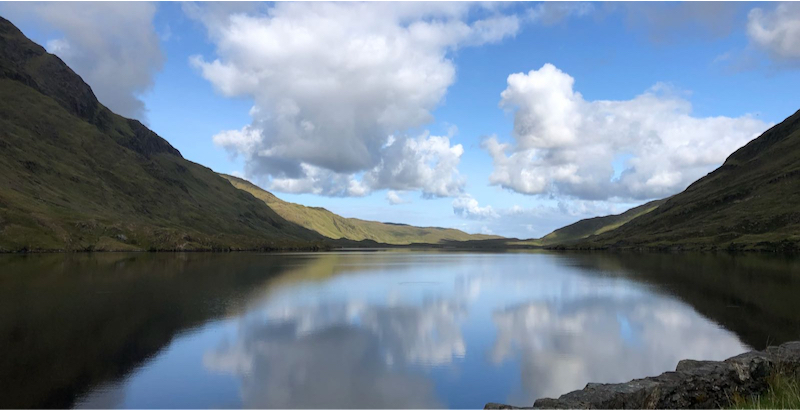 As always weather plays a huge part in any salmon fishing season and it was especially the case this year, when one factors in heavy snowfall in March and drought and record temperatures in June and the first half of July. I will deal with all these factors in more detail in our annual newsletter. On a sadder note, since my last update, two of our long-standing Delphi regulars passed away and it tends to focus the mind and makes one realise that fishing is only secondary. Nick Roth from Switzerland, who was a regular for many years and introduced his children and grand children to Delphi passed away earlier in the month. He was always in good form and loved everything about Delphi. Then on the 11th, David Dunne who was only in the area a few days beforehand, with his partner Linda, passed away suddenly. He was an extremely keen fisherman and was always relaxed when fishing. It was always good to see him here and sad that he left us and his loved ones at such a young age. On behalf of all here I would like to express our sympathies to the family and friends of both Nick and David. 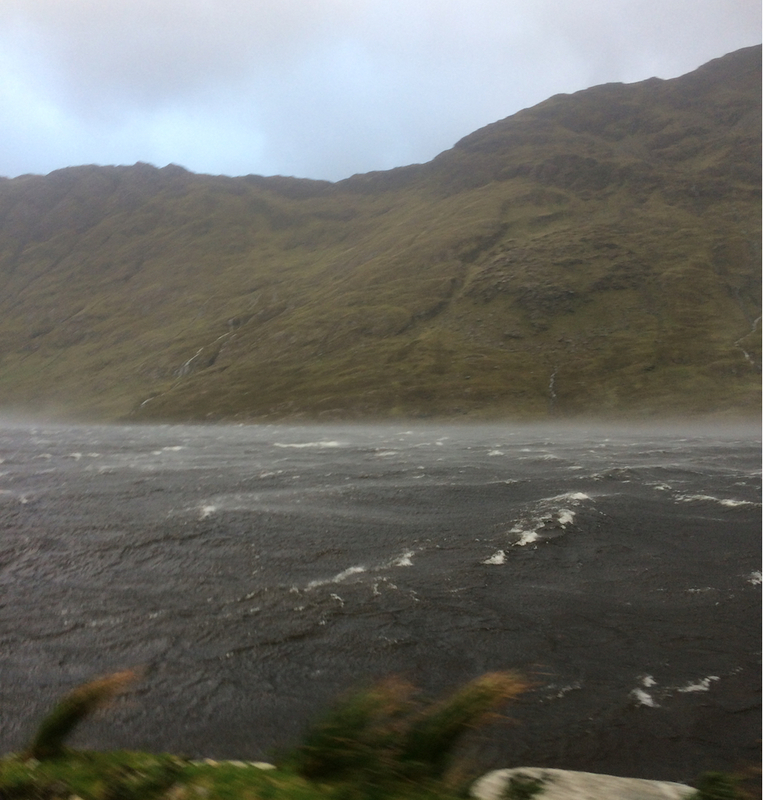 September brought it’s usual mix of four seasons in one day, with some fine weather but quite a bit of unsettled, stormy and wet weather, with 249.2mms (9.81”). Normally September weather tends to make salmon a little more cooperative, but this year not so much. 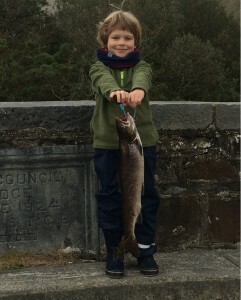 We landed 18 salmon up until the 30thand then we had 23 on the 30th, with many children landing their first ever salmon. Urs was the first off the mark in September, with a good fish of approx. 10lbs from the Bridge Pool on the Neighbours Cat nymph. Sean Fagan had a grilse of approx. 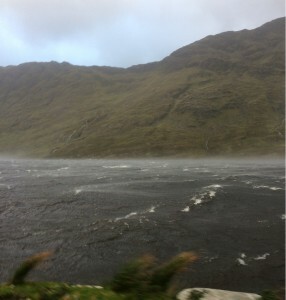 3lbs from Glencullin on the 6thon a Green Peter. We then had a busy week with many experienced anglers and they duly delivered eight fish for the week, with Mark Corps having four, Chris Cromey-Hawke three and Philip Janaway one. Mark Corps had the biggest of 10lbs12ozs from the Bridge Pool on a Collie Dog. Somerset, Martyn and Jeremy concentrated more on sea trout and did relatively well. Again, the following week there were experienced anglers, but their fishing was badly affected by the weather with heavy rainfall and some very high winds during the week. 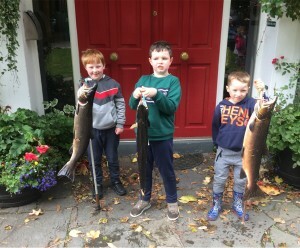 Jack Browne had three fish, one from Doolough and two from Finlough and Paul Sims had a fish of 5lbs6.5ozs from the Turn Pool. Sea trout fishing was quite productive, with Paul and Maggie Sims, Richard Vaux, Mike and Steve Heckler all doing well, and George Westropp had a good trout of approx. 2.5lbs off Fin. Our final week was relatively quiet. Luke Drea had organised a party that included some Norwegian anglers. 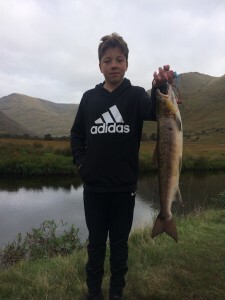 Emil Jamtfall landed two salmon, one of 2lbs13ozs and one of 6lbs4ozs, both off Fin on a Watsons Fancy and a Stoats Tail respectively. 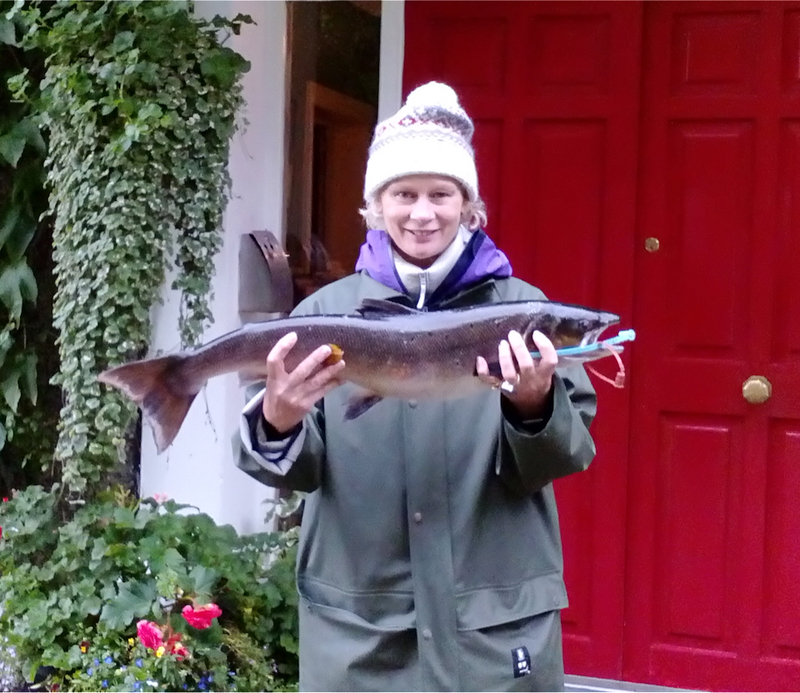 Fish of the week and her first ever salmon fell to Katerine Jay, who had a good fish of 9lbs off Finlough on a Stoats Tail. On the penultimate day Alexander Mills had a fish of 3lbs4ozs off Finlough on a Willie Gunn. The 30thwas a day primarily for staff and young children and there were many who landed their first ever salmon. 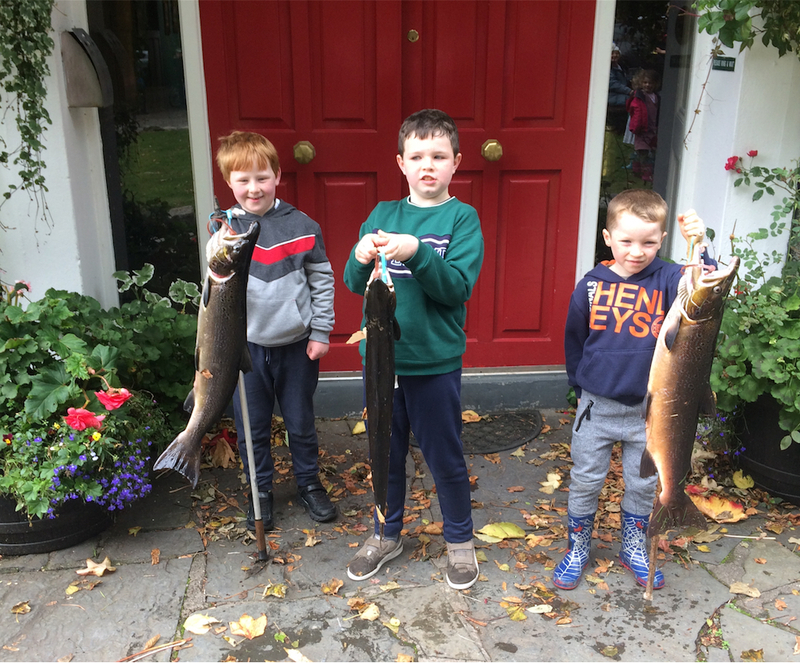 There were 23 fish landed and those who landed their first ever salmon included three seven year olds, Mark Rowley, Finian Clarke and Bradan Boland; Archie Wymes who is five and four teenagers Caoimhe Graham, Gary Wallace, Jack Keane and Dylan Coughlan. Our long serving front of house lady Geraldine McNally after many years of trying on the last day finally was rewarded.